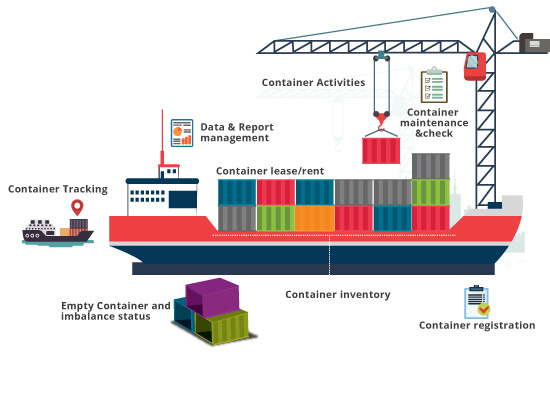 Container inventory and Management (Equipment Management System) is a vital aspect of running a successful Container logistics operation facilitating best-in-class container utilization and lowest cost operations. SVM EMS – Equipment Management System is not only just a tracking system; it is a full function solution that addresses all container inventory management, movements, and maintenance. The System using the state of the art tools to access the real-time information and excels in the container per-diem billing and supports both SOLAS and VERMAS (Verified Mass) requirements of the Liner industry. Control business failure factors such as; movement sequence skip, containers overdue and imbalances etc.